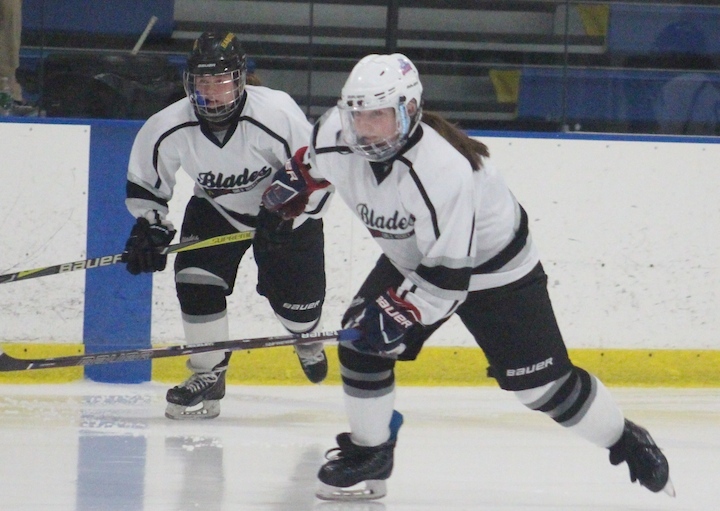 The Blades (Amity, Cheshire, North Haven) girls ice hockey team was on the road in West Haven on Jan. 29 for a game against the West Haven/Sacred Heart Sharks. The Sharks came on strong in the first period with Taylor Nowak making the first goal, assisted by Jianna Cohrs and Megan Froehlich). Next, Brooke McNaola scored on an assist from Jenna Hunt. West Haven owned the second period, too. Nowak scored again, assisted by Meghan Dupre. West Haven never lost its momentum, and in the third period, Mia Celentano made a goal, assisted by Meaghan Hogan. 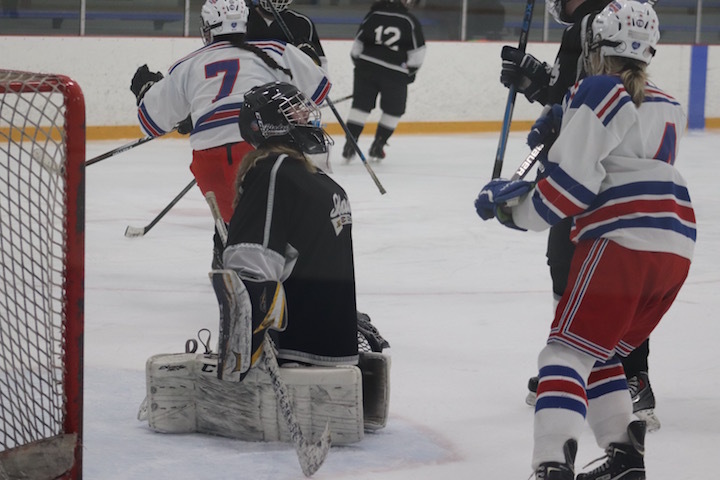 The Blades bombarded West Haven’s goalie throughout the game, and Shannon Reilly finally landed one, assisted by Meaghan Hogan. The Sharks ended the game with one final goal by McNabola, assisted by Hunt and Dupree. Saves: Blades – Caitlyn Ranciato made 23 saves; West Haven/Sacred Heart – Crowe made 36 saves.